Located in the hotel grounds our new executive suites offer comfort in a spacious contemporary setting. 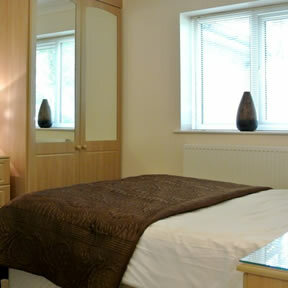 These self-contained suites with lounge, kitchenette, bedroom and wetroom/bathroom are available on both a short or long term basis and provide the ideal accommodation for the relocating professional or those looking for that extra space and comfort. There are four suites, each one is individually designed and comprises of a comfortable lounge with fitted kitchenette, double bedroom and bathroom or wet room. 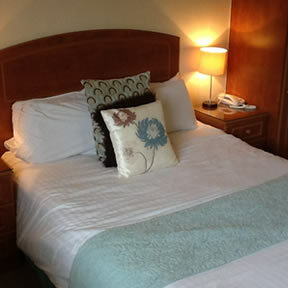 The suites are ideal for families, corporate delegates and long term stays.